This open shelving garage design is modern, having a better accessibility and visibility. Make sure you clean the shelf occasionally to prevent dust and dirt from accumulating. 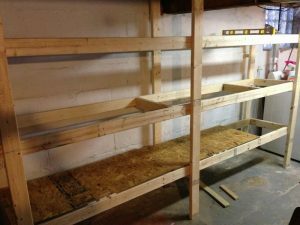 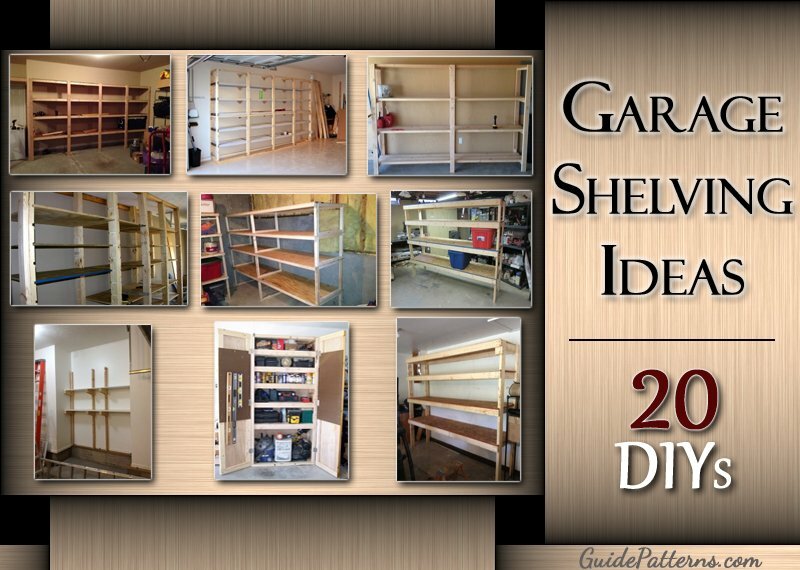 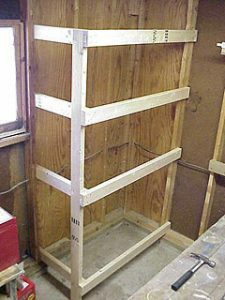 Another cool garage shelf plan that increases your storage options, ranging from huge plastic containers to quick fix tools, all at one place. It appears as a single set of shelves, but the individual racks have not been adjoined for more flexibility. Utilize the little space in the garage by building this small shelf and save a fortune. 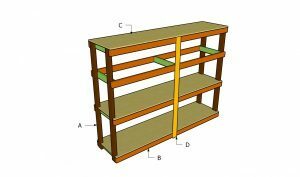 Storing lightweight materials would be safer but you may use metal angle or corner brackets to make the rack more supportive. 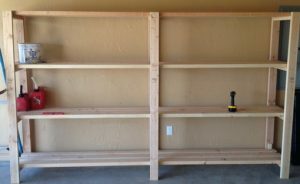 Constructing a corner shelf is the best space-saving solution for your garage, converting a narrow, unused area into an additional storage space. 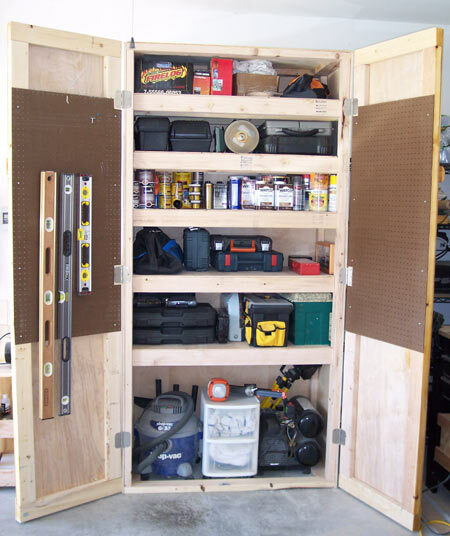 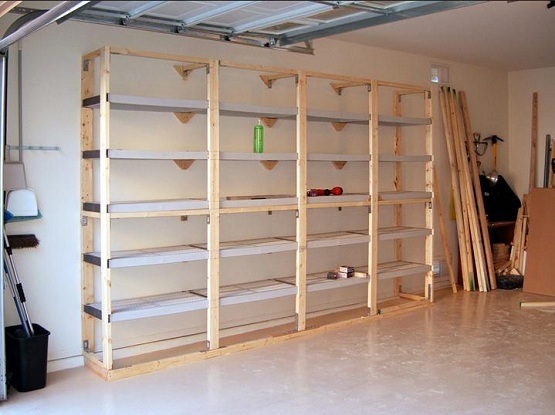 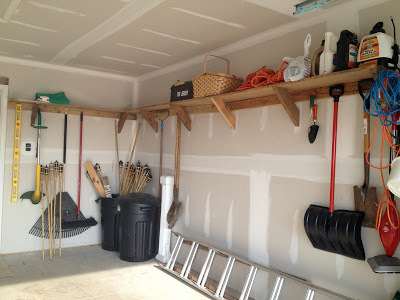 Having an organized shelving system will make your garage space look bigger and better. 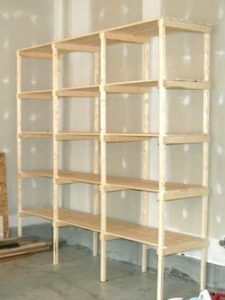 This elegant garage shelf plan might be of great use to those looking for a budget-friendly storage solution. 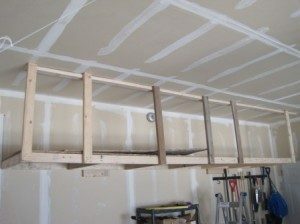 Imagine how convenient it would be to build an overhead shelf just by occupying a slim wall space in the garage. Giving a white-coated paint finish to this sophisticated piece of furniture will up its decorative quality. Now you longer have to deal with the pile of junk items in the garage as this fancy garage cabinet provides the easiest way to get rid of the clutter, giving more room for parking your car. 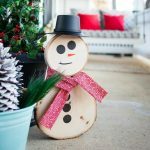 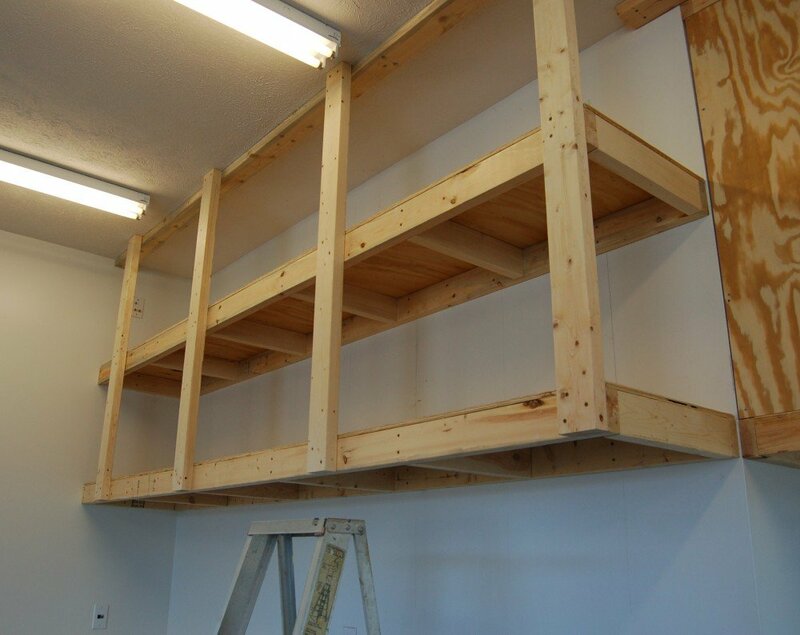 You can do wonders with a single plank of sturdy wood without making any hefty expenses. 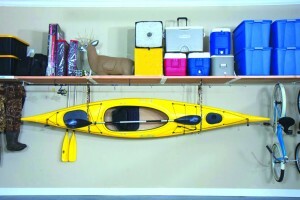 Install hooks or metal hangers at the base of the rack for holding your bicycles. 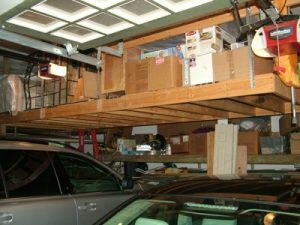 This one is an ideal garage shelf for holding smaller items, making your carport look tidy and free of obstructions on the floor. 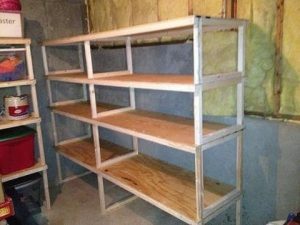 Once you have made a list of the items that should be there in the garage, follow the instructions given in this tutorial for designing a robust shelf with recycled wooden planks. 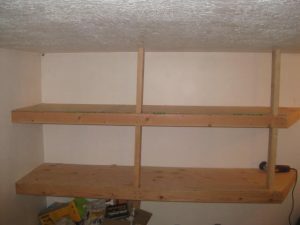 Here is an 8 feet high robust garage shelf that will come handy for keeping all sorts of stuff as long as there are no space limitations. 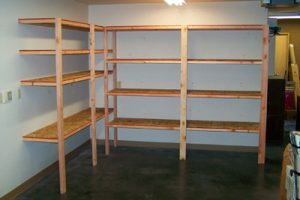 It is not always necessary to follow the same layout as shown in these designs. 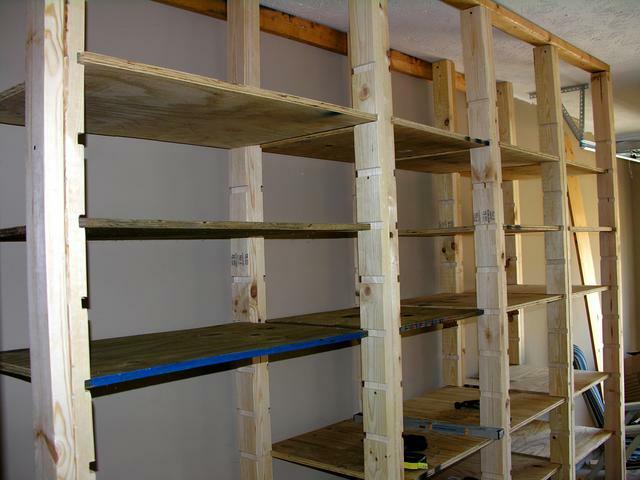 Most importantly, using high-quality construction materials ensures the durability of the shelves. 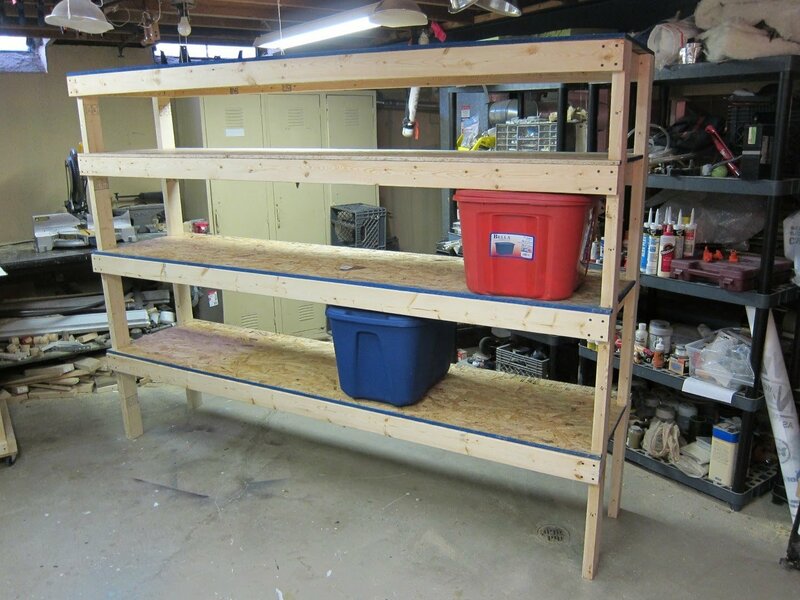 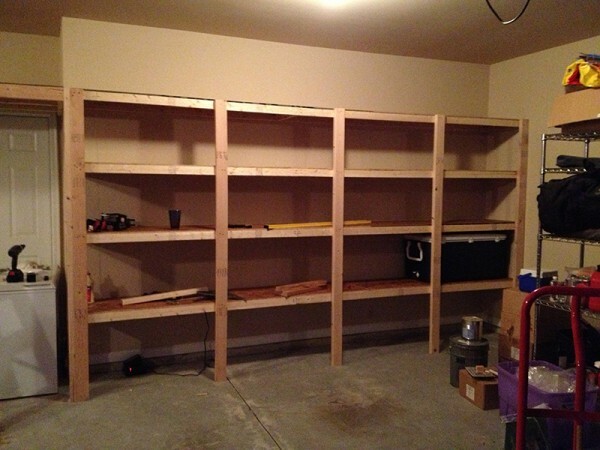 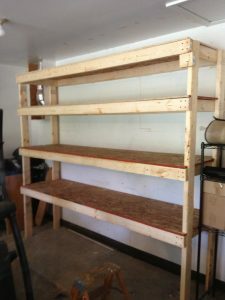 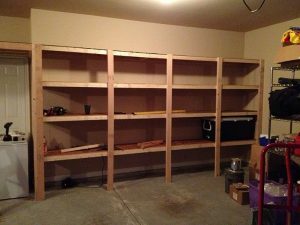 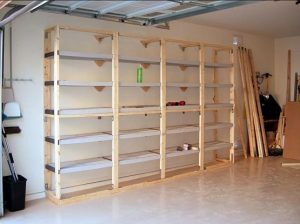 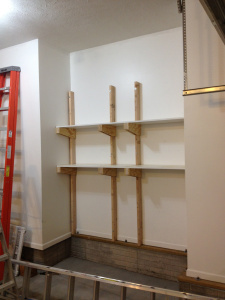 So provide an extended storage space in your garage by building a long-lasting and adjustable shelf. 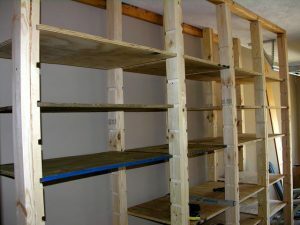 Sorry, couldn’t help you much on this as I guess none of our DIYs talk about making adjustable shelves. 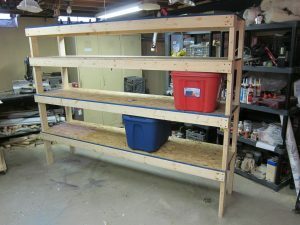 However, if you can work with melamine and have enough space in your garage to build cabinets, you can check out the below tutorial.